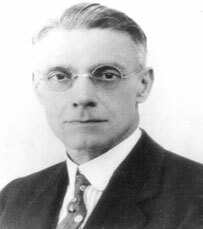 Biography | MERRICK Industries, Inc.
Herbert Lansing Merrick (April 16, 1873- May 2, 1938) pioneered the continuous weighing and metering industry for bulk materials. He was a mechanical engineer, inventor, entrepreneur and founder of the Merrick Scale Manufacturing Company. The company has been in continuous operation since 1908, currently doing business as Merrick Industries, Inc. Herbert Merrick developed the first dynamic weighing device, the conveyor belt scale, which automatically weighs and records all kinds of materials as they pass along a moving belt. Serving a broad spectrum of industries, Merrick became the leader in bulk material weighing and control technology. Merrick contributed towards the industrial revolution from batch to continuous processes by providing rugged and practical, yet precise and accurate, continuous weighing and feeding machines for process control. As an inventor, Merrick received 21 U.S. patents for weighing apparatus along with three United Kingdom and two Canadian patents. A summary of Merrick’s many related patents is listed below. Although Merrick held several engineering positions, most notable was with Robins Conveying Belt Company of Passaic, New Jersey, pioneers in the engineering and manufacturing of belt conveyors to transport materials of all description in power plants, quarries, mines, ship loading, and many other industries. It was at this time, Merrick studied and recognized the worldwide need to weigh and record the weight of any material transported on belt conveyors, bucket conveyors, cable railways, and for any other transportable requirement. He then proceeded to obtain his first unique patent, conceived in 1908 for the world’s first conveyor scale, the Merrick Weightometer, to record the weight of any type material in transit. Production began in the same year in an old buggy whip factory located on the edge of Second Wark Park in Passaic, New Jersey. Merrick moved the plant to a building in the rear of what was the Lexington Avenue, Y.M.C.A., then to 184 Autumn Street. Merrick was a quiet mild-mannered person, extremely kind and benevolent in nature. 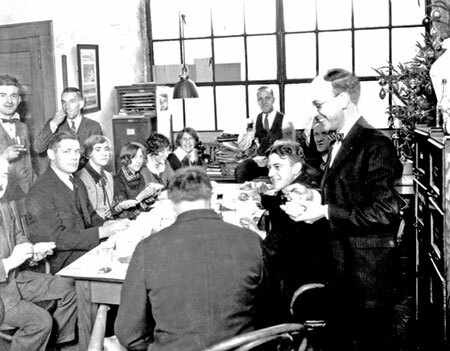 He instituted family-oriented company Christmas parties in the mid-1920’s. He also recognized employees with annual bonuses and vacation holidays based on length of service, loyalty, conduct, and ability. During this era, it was also customary for many employees to receive an invitation during the summer from Merrick, to sail on his yacht, “The Shagwong”, for a day. The sail was made from the Hackensack River, New Jersey to all points around the Island of Manhattan. His family-type characteristics manifested throughout the company culture. 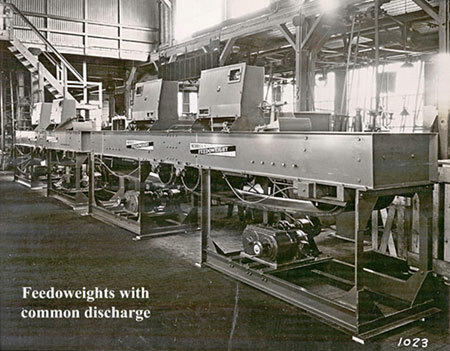 In mid 1930’s, the most important addition to the product line, the Feedoweight Weighbelt Feeder, was developed and patented by Merrick in response to customers’ need for a more accurate and reliable device to blend and control the metering of bulk materials by weight rather than by volume. The Feedoweight was particularly suited for the cement industry. The Company remains a driving force in advancement of dynamic weighing and material handling technology with a full line of custom-engineered solutions. Herbert L. Merrick passed away May 2, 1938 after an illness of several months. He is buried at Laurel Grove Memorial Park. Merrick was the organizer and president of the company for 30 years. He left a heritage of love, loyalty, compassion, benevolence, and ingenuity to his family, friends, employees, and business associates, long to be remembered by all who had come to know him. 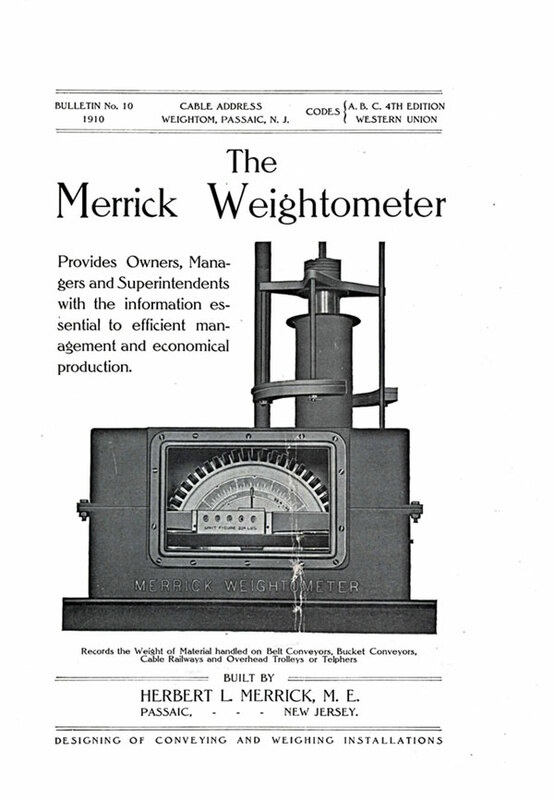 While Merrick lived and enjoyed distinct satisfaction and happiness in the invention and success of the Merrick Weightometer, the first prime product, for many years, he lived only a matter of two years to enjoy the advent of an equally important second prime product, the Merrick Feedoweight, knowing of its great potential to all industries, as well as the future growth of the Merrick Company. 1. Schempp, Ed (1983). 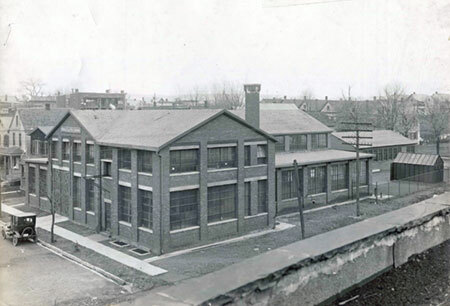 Merrick Scale Manufacturing Company: 75th Anniversary. 2. Scott, William W. (1922). History of Passaic and Its Environs:Historical-Biographical. (Vol. 3, p.17) New York: Lewis Historical Pub. Co.
3. Unknown (1938). Herbert L. Merrick Obituary. Passaic News Herald. May, 2 1938.